We welcome back Ian Fenwick for this lecture on the upcoming UFV theatre production on Shakespeare’s well known play: ‘Romeo and Juliet’. *Note: view ‘Bus Tour’ for details on the matinee at the UFV Theatre on Wed. Mar. 12/14. Ian was the founding member of the Theatre Department and served as Head for the first twenty years, from 1980 to 2000 and from 2003 to 2010. In March of 2010, Ian directed William Shakespeare’s A Midsummer Night’s Dream, as part of the department’s 30th anniversary season, as well as co-ordinating his senior students in the 15th annual Directors’ Theatre Festival. In addition to his duties at UFV, Ian is an adjunct faculty member at Southern Oregon University in Ashland and a Theatre BC adjudicator. 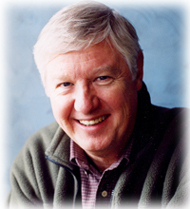 He is a member of the Chilliwack Rotary Club, the Chilliwack Film Commission, and the Chilliwack Cultural Alliance. Recently, Ian was awarded the Paul Harris Fellowship in recognition of his community and international service.